Double pane windows prices range from $200 to $2000 per window fully installed. As a rule, double paned windows account for nearly 90 to 95% of all windows sold today and come in nearly every frame material, size and price point available. Double pane windows are part of an IGU or insulated glass unit that is found on most replacement windows made today. An IGU is comprised of the two panes of glass, along with the glazing the seals around them, as well argon gas between the panes and the spacer system. This creates a much more energy efficient option from the single pane glass from several decades ago. Double pane windows effectively reduce the amount of heat and or cold that is transferred from one pane to the other. The argon glass fillthe spacer, and the low E glass all work in concert with one another to make an energy efficienct and cost effective window. Because most windows me today use a double pane system, pricing runs the gamut from very cheap to extremely expensive. 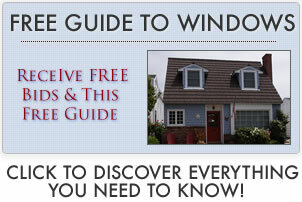 For instance, Window World offers a window that costs $200 fully installed that uses a double pane window system. So too does Anderson Windows use a double pane window in their A or Architectural Serious that can run as much as $2000 per window fully installed. Most homeowners can spend $400 and get a good mid range vinyl window with a double pane IGU. Assuming you’ll be buying double pane windows, here are a couple of recommendations. Go with a simple low-E glass on both of the panes in order to maximize the energy efficiency of the window. Unless you live in extreme cold or hot climates, you do not need to consider a triple pane window, which is both more expensive and more prone to repair with the added weight too different. A mid range to premium vinyl window will typically perform as well or even better then most posit, aluminum, and wood clad windows. Finally, make sure to get several bids before you decide to replace your windows in order to get the best price and to make sure that the contractor or window company you select is going to be thorough and complete when they do your install.